The default sidebar position is on the right side. This can be changed to display the sidebar on the left if required. Please note that the sidebar is only displayed if there is at least one widget added to the sidebar. 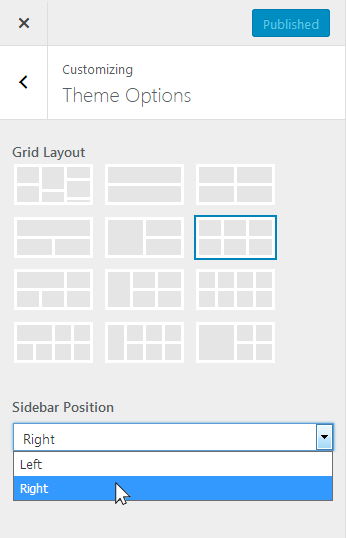 If there are no widgets in the sidebar it will not be displayed and the page/post content will be displayed full width.